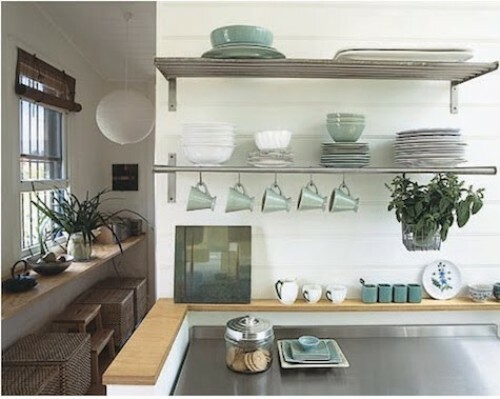 Before you apply any kinds of storage space inside the kitchen, you need to de-clutter the whole space. You need to remove all debris, dust, and dirt inside the kitchen. If the kitchen is clean, you will love to spend much time here. The expired food that you have in the kitchen should be removed to give you more space to work. 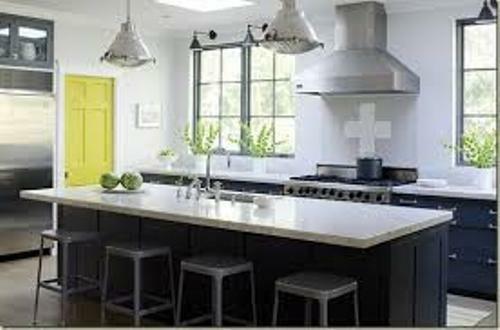 Since you do not have any kitchen cabinet, you need to decide the kinds of storage space that you want to install in the kitchen. Some home owners decide to install shelves on the kitchen. The open shelves are good because you can grab the item easily if they are arranged in organized position. Don’t forget to have a fridge that you can use to save the food and groceries. You need to have a small table or kitchen island which serves as the countertop. You can use it as a place to cook and prepare food. Get ideas on how to decorate a kitchen without a pantry here. 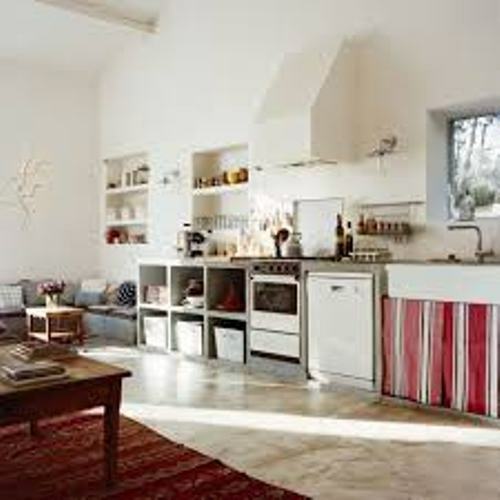 The appliances, dishes and utensils that you have should be arranged on the shelves. You can have the shelves equipped with drawers and hooks. The hook is good to hold on the glasses or mugs. The drawers can be used to save the dishes. They will never look dirty if they are saved inside the drawers. 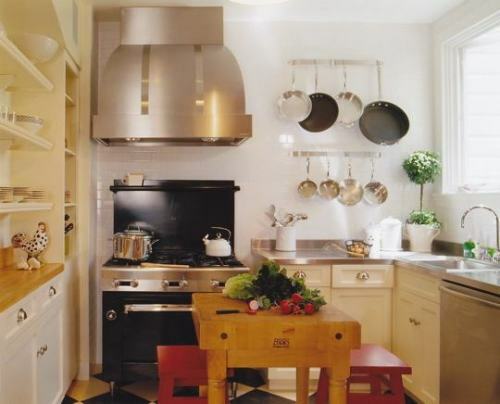 The top of the kitchen island can be used as a storage space for the cookware, such as pans, spatulas, and frying pans. You can install a pegboard with hook to hold on the cookware. The table which serves as the countertop can be used to hold on the items that you always use everyday such as mixer, blender and coffee pot. 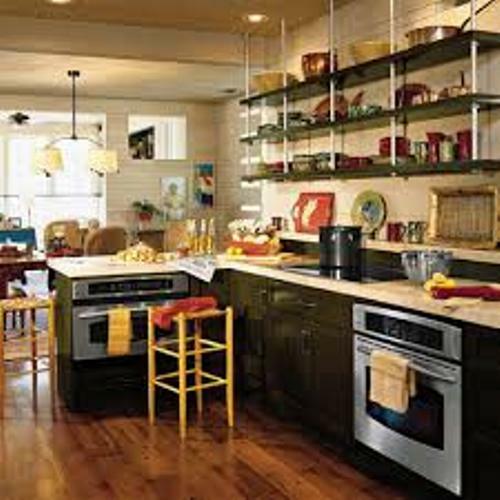 Do you want to give more tips on how to organize a kitchen without cabinets?